PokerStars is a global poker room which offers new members a 100% up to $600 bonus. 1 Why Play at PokerStars? PokerStars has been the trendsetter in the online poker world for almost a decade now. To this day, they alone represent almost half of all the real money games traffic. Everyday PokerStars averages around 20,000 players playing for real money at any given time, while the total amount of players varies between 60,000 and 250,000, depending on the day and time. One of the main advantages of PokerStars is that it’s equally welcoming to recreational and professional players, suiting everyone’s needs in a way no other poker room can. Their software, while being relatively simple in design, has proven to be one of the best and most stable on the market. The variety of games and tournaments is unmatched, with millions in prize pools being awarded every day. Of course, having shiny software and good tournaments is a good start, but it’s not enough to become the best brand of online poker. PokerStars, however, took that extra step of becoming the most secure place to play poker online, which they were definitely grateful for more than once. PokerStars is well known for having the best security team and dealing with violations like collusion very swiftly and professionally. Over 13 years of operations, there have been no documented cases of any wrongdoings at PokerStars and the way they handled the biggest crises of the online poker world – Black Friday, cemented their trustworthiness. PokerStars also has regular meeting with player representatives, constantly keeping up with the latest trends and discussing the issues most important to players. These meetings have shown to be an effective means of communication between PokerStars and their customers, producing results on numerous occasions, including instances where PokerStars lowered rake for some of their games as a result of one of the meetings. Isai Scheinberg and his son founded PokerStars back in 2001. Isai Scheinberg was a recreational player who also worked for IBM. He left the company at the height of the poker boom to start his online poker room venture. 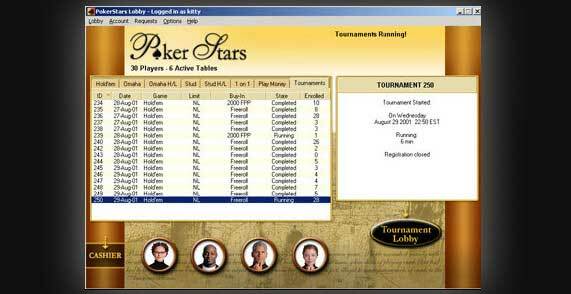 After initial preparations, the PokerStars software went live on September 11, 2001, only offering play money games at first. Only 3 months later, real money games were launched and PokerStars, being the first online poker room to offer tournaments started attracting more and more players. As early as April 2002, PokerStars was running sattelites to the WSOP Main Event, which at the time could only be bought into with frequent player points. Later on, real money satellites emerged, and it was these satellites that allowed Chris Moneymaker to go from an $86 first tier entry to the winner of the WSOP Main Event, which catapulted the online poker boom. When 2004 rolled around, the WSOP Main Event saw a 3x increase in the amount of entries and the poker boom was well underway. By this time, PokerStars was steaming towards the top of the online poker world and was now moving into live tournament poker as well. It was this year that PokerStars partnered with John Duthie to launch the European Poker Tour (EPT), a series of live poker tournaments in Europe which would go on to become the world’s richest poker tour. 2004 also saw PokerStars deal its one-billionth hand. At this point PokerStars was still based in Costa Rica, but 2005 saw PokerStars granted a gaming license by the Isle of Man, which prompted the move of their HQ there. This was now almost 10 years ago. Most players probably won’t remember this, but at this point PokerStars did not have a VIP club or the famous Sunday majors. All of this came in 2006, when the Sunday Million was launched and five billion hands were dealt. The VIP store was now open for business with a wide selection of clothes, electronics and even a Porsche. Just a year after the launch of the VIP club, PokerStars realized that the highest VIP level – supernova, was not enough, as many players were easily clearing this achievement mark. This led to the introduction of Supernova Elite, which to this day is the highest VIP club status and the hardest to achieve in all of online poker. In 2007, PokerStars was experiencing exponential growth, as only a year after five billion hands were deal, came the ten billionth hand. In the same year, the Asia Pacific Poker Tour was launched, bringing live poker series to a new level around the world. In 2008, PokerStars launched another live poker series, this time it was the Latin American Poker Tour, which is the most popular tour in South America to this day. The same year saw the launch of PokerStars.tv, which featured video blogs, live coverage of PokerStars events, and replays of online events. 2009 was a year of world records, as PokerStars hosted a series of record-breaking tournaments, as well as launching SCOOP (Spring Championship of Online Poker), which featured three different buy-in levels: small, medium and high. This allowed for a significantly larger amount of people to compete for huge prizes. PokerStars also launched three new regional poker tours, the UK & Ireland Poker Tour, the Australia New Zealand Poker Tour and the Italian Poker Tour, which all remain popular to this day. In 2010, PokerStars launched the Big Game, which was the first televised high stakes poker game which allowed players to qualify online win a seat in the game. With PokerStars soaring ever higher, 2011 brought a huge blow to the online poker world. On April 15, 2011, the United States Department of Justice cracked down on online poker in the US, effectively closing the three biggest online poker room – PokerStars, Full Tilt Poker and Absolute Poker to the US players. If there ever was a test of an online poker room trustworthiness, this was it. In the aftermath, Absolute Poker and Full Tilt Poker came crumbling down as revealed bad business practices left them with no chance to survive Black Friday. PokerStars, however, was a completely different story. Having successfully departed the US market, PokerStars quickly repaid all the funds to US players and was able to operate further without any damage. With more than $100 million paid out, PokerStars cemented it’s reputation, while Full Tilt Poker and Absolute Poker players’ troubles were far from over. Later, PokerStars also came to the aid of Full Tilt Poker players, buying out the company and agreeing to repay all of their debts to players, which boosted its reputation even further. Full Tilt Poker was later re-launched under the ownership of PokerStars and is now also one of the most popular online poker rooms. 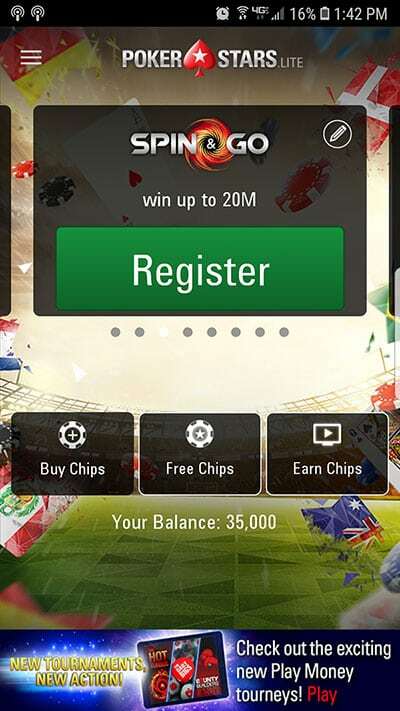 Despite all the chaos of 2011 and significant losses for the online poker world in general, PokerStars still managed to move forward with the launch of their first mobile app. The PokerStars Clock iPhone app was designed to assist players with their home games and was initially available in 17 languages. The turmoil of Black Friday was still not over in 2012, but like always, PokerStars was leading the way with new innovations. 2012 saw the launch of the Turbo Championship of Online Poker, which is close to the WCOOP and SCOOP by popularity, not to mention Zoom Poker, which from day one had the biggest player base and the highest available stakes in online poker. This was also the year PokerStars launched VIP Club live, which offered players an opportunity to meet and celebrate the game of poker in person. Despite the stick in the wheel that was Black Friday, 2013 saw the one hundred billionth hand dealt on PokerStars, a number that will likely not be achieved by any other poker room any time soon. Last year also saw PokerStars transitioning into live poker in another way – by opening live poker rooms around the world. The first live poker room opened in Madrid, which hosts daily cash games and tournaments from the time of its launch in January 2013. The latest live poker room was opened in Macau and became an instant success, so having withstood the toughest of blows, PokerStars is moving forward, pushing poker into the future with it! PokerStars software has left most of the competition far behind. Ever evolving, their software is always up to date with the latest features and widgets that can’t be found anywhere else. As a great example, let’s take a look at one of the latest major updates that will surely be popular with multi-tabling cash game players. The first such feature to be introduced directly in an online poker client is called Easy Seat. 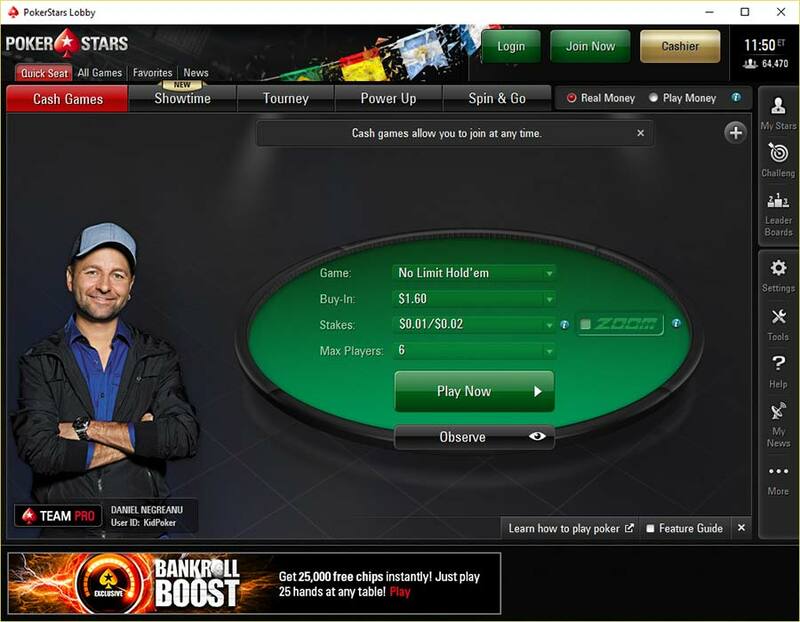 This allows players to launch multi-tabling sessions with a single click from the main lobby. You can set up all the necessary preferences for your multi-table session and PokerStars will automatically find free seats at tables that match your criteria. If there won’t be enough seats available, you will be added to the waiting lists at other tables that fit your criteria. This feature also allows you to maintain a certain amount of open tables using “Session Mode”. So, if you want to maintain 8 open tables, PokerStars will automatically sit you on other preferred tables if you close one the tables that are already open. PokerStars software is compatible with all the major operating systems, and if you are using an operating system, which it’s not compatible with, there are always emulator options available. The lobby is packed with all sorts of features and sorting tools, which might even be confusing at first, but they are actually all very helpful. PokerStars offers three different views for the ring game lobby. You can choose from List View, Combo View and Groups View. All three offer various ways of quickly grouping the tables and previewing as many information about them as you want, including a graphic representation of the table with information like stacks, dealer button position, open seats, etc. PokerStars tables offer all the customization you may ever need. You can choose from dozens of table themes, felt colors and background colors. You can also apply themes and colors to individual tables as well as all tables at the same time. As well as built in themes, you can download or create your own, to add extra uniqueness to your game. Tables can be laid out at a single click of a button and along with standard layout options like tiling and cascading, you can save up to 8 of your own layouts which you will have instant access to. Click on the dealer tray to access your instant hand history, request it by e-mail, change the amount of dealer messages in your chat box or call a moderator. Here you can also view your statistics for the current session. Many other features are also customizable, which will help you a lot when multi-tabling. For example, you can select the level of animation at the tables, so if you have a lot of table running, you can turn it off completely to avoid distractions. You can also choose how to display yours and opponents hole cards, as well as the final table background. The chat box is also fully customizable, so you can detach it from the main part of the table, or just close it all together and enable chat bubbles to appear above players when they type. You can access the instant hand re-player at your table by clicking the dealer tray and selecting “Instant Hand History” or by clicking on the round button in the top left corner. This will allow you to quickly check to see what your opponent has called you with or to review your own play. Unlike many built in re-players, PokerStars re-player is virtually lag free. It looks exactly like any other table and is perfectly optimized not to interfere with your game, so you can easily use it even if you are multi-tabling. The newest addition to hand replaying comes in the for of the BOOM! re-player, which allows players to upload their greatest hands to the internet and share them via twitter. BOOM also lets you watch hands played by Team PokerStars pros. PokerStars has one of the most complete security systems in online poker. Enabling at least two of their extra security features will bring the risk of your account being hacked to virtually zero. For extra log in protection, you can enable an extra PIN code that you will have to enter along with your password upon logging in. For an even more secure login method, you can order and RSA Security Token from the VIP Store. The token works by generating a random password every 30 seconds, which you will have to enter in that time along with your regular password to log in. This ensured that only the token holder can log in. Along with extra login security features, you can activate SMS validation, which will add an extra layer of security by monitoring your account an checking for potentially unusual activities, like logging in from a different country or ip address that have not been associated with your account. If such activity will be detected, you will receive an SMS to confirm that this is really you. These security features can potentially save you more money than a good fold on the river, so enable them today to feel absolutely secure about your bankroll! This great feature allows players to host their own home games at the PokerStars tables. If you and your friend live far away or can’t find a suitable place for your home game, this is the next best thing. You can play cash games as well as tournaments that be customized in any way you want. You can also keep a leaderboard that will keep track of the best performers in your home game. Multi-tabling on PokerStars has never been easier with built in hotkeys. No need for any third party apps if you don’t like to move the mouse around all over the place, these hotkeys feature everything you need, from action keys to betting amount selection. You can also select a highlight for the active table. 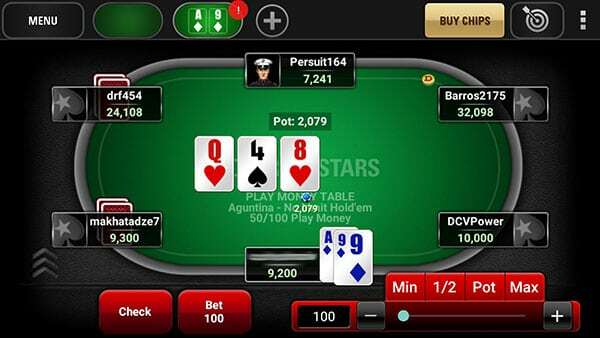 Not long ago, PokerStars released its mobile gaming app, which has seen much improvement since the release and is now undoubtedly the best mobile poker client available. The app works for both iOS and Android systems and is free to download. If you don’t have an account you can create one right in the PokerStars app! See our PokerStars mobile review for more information. PokerStars is the best in many ways, but what really stands out about it, is the fact that it host almost 50% of all online cash games and tournaments. You won’t find this many players anywhere else, in fact, the second biggest online poker room is ten times smaller than PokerStars! PokerStars currently hosts an average of 15,000 cash game players at any time during the day, though this number varies depending on the time of day. At peak hours this number easily reaches 30,000. In general, you can log in any time of day and you will always find a game running even at mid-stakes. Finding a high-stakes game might be a little more difficult outside of peak hours. PokerStars easily has the most packed MTT schedule, with new tournaments starting every few minutes. Most of the higher buy-in tournaments are concentrated towards the peak hour schedule and the best days to catch MTT action is on a Sunday, when all the majors kick off. 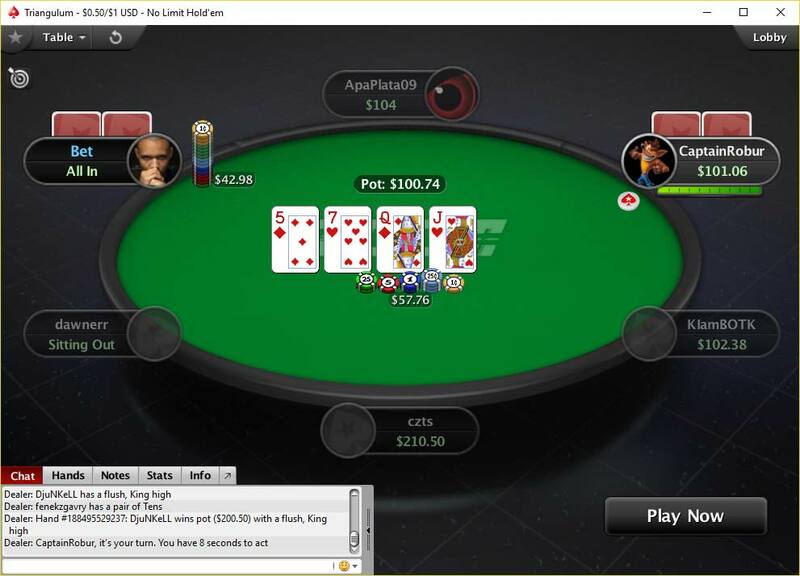 PokerStars is also home to the most popular online tournament series, including the three biggest ones – WCOOP (World Championship of Online Poker), SCOOP (Spring Championship of Online Poker) and TCOOP (Turbo Championship of Online Poker), not to mention the largest small stakes series – Micro Millions, which features a $1 million Guaranteed Main Event with just a $22 buy-in! PokerStars is easily the best room for any sit & go player, with sit & go’s running around the clock with regularity up to mid-stakes. They are also the only room that features regularly running 90 and 180 man sit & go’s, which are very popular with players. 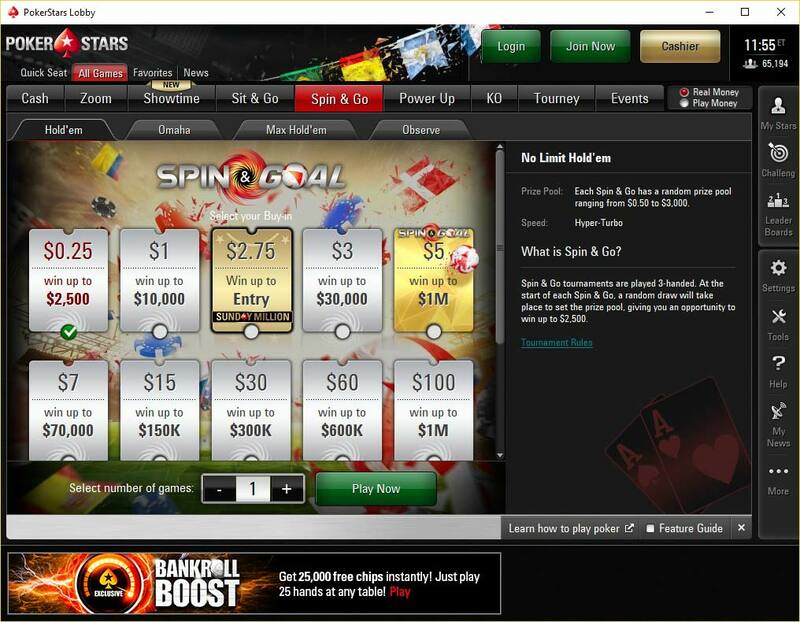 Spin & Go’s are the latest addition to PokerStars’ line up of games. They are a variation of hyper-turbo sit & go’s, but their popularity puts them in a category of their own. The catch is that in any single game, you can win up to 3,000 the buy-in that you entered for. With a maximum buy-in of $30, the highest amount you can win in a single game is $90,000. As soon three players register for the same Spin & Go as you, a random draw occurs, which decides the tournament prize pool. After the prize pool has been set, players get to play out their game. One big downside is that no deal-making feature is available, so if you hit one of the big prize pools, then you’ll just have to play it out. There are many bonuses, reload offers, and other promotions at PokerStars. If you want a bigger boost to your bankroll, you should definitely go for the 100% first deposit bonus up to $600. This means that for any amount you deposit up to $600, you will get a 100% matching bonus that you will need to clear by playing at PokerStars. If you want the full bonus, but can’t deposit at least $600 at the time, you can actually do it later. In total, you can make up to three qualifying deposits in 60 days. 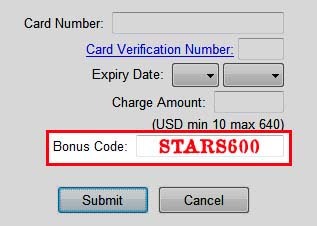 To get this bonus, you need to enter the PokerStars bonus code “STARS600” when making your first deposit. Once your bonus is activated, you will need to earn VPP points to clear it. For every 200 VPP points earned, $10 will be credit to your account, until the entire bonus is cleared. This amounts to almost 30% in cashback from the bonus alone. After each qualifying deposit, you will have 4 months to clear the entire bonus. This bonus is available in all currencies, which are available at PokerStars. The bonus code always remains the same, but depositing in different currencies will get you different bonuses, even though their relative value will remain the same. Depositing in Canadian dollars will get you the same bonus, but If you deposit in euros, you can get a maximum bonus of up to €500, with €10 being credited to your account for every 250 VPPs earned. Depositing in pounds will get you a maximum bonus of £400 with a clearance rate of 300 VPPs per £10. VIP Stellar Rewards are bonuses that you can earn all the way until your reach Supernova status. There are twenty VIP Stellar Rewards with a combined worth of $1,200 and you can collect them every year! Once unlocked, each reward can be purchased once per pear for 1 FPP and if you forgot to collect them this year, don’t worry, the will be available for purchase in the VIP Store for a another year following the year in which they are earned. The first Stellar Reward is worth $10 and becomes available after earning 750 VPPs. Consecutive rewards get bigger with the last one being $200, upon which you will also become a Supernova VIP! You can track your Stellar Reward progress in the ‘VIP Stellar Rewards’ window or by clicking on the ‘VIP Stellar Rewards’ button in the cashier. Once you hit Supernova status, VIP Stellar Rewards are replaced with something even better – Milestone Cash Credits. Just like the Stellar bonuses, each Milestone Cash Credit can be purchased once per year for just 1 FPP, after which you will receive it instantly in your account. The first Milestone Cash Credit will be available once you hit 200,000 yearly VPP points and is worth $2,600. These bonuses get progressively bigger each 100,000 points your earn after that and reaching 1,000,000 VPPs and the Supernova Elite status will get you a special bonus worth $20,000! The Milestone Cash Credits don’t end there though, as they continue all the way to 4,000,000 VPPs. VIP Milestone Cash Credits will be available for purchase in the VIP Store for a year following the year in which they are earned, but once they are removed from the VIP Store, it is no longer possible to claim them. The 100K Privilege Freerolls is one of the biggest freeroll series In online poker. All you have to do to receive a ticket to play in of these freerolls is to make a deposit of any amount. Once you make your deposit, you will be instantly credited with four entries to the freeroll, which runs four times per day. The entries will be valid for 31 days. You can also purchase tickets to these freeroll from the VIP Store once you reach ChromeStar status. Each of the freerolls feature a special freebuy format, where the entry is free like any other freeroll, but you can also re-buy up to three times within the first hour for just $0.30. These Freerolls run four times a day at 04:00 ET, 10:00 ET, 15:00 ET and 21:00 ET. PokerStars Women’s Club is the only one of its kind, featuring exclusive women-only tournaments and added prizes. The Women’s Club is split into three real money levels – Diamonds, Hearts and Spades. There are daily tournaments for each of these levels, as well as special Sunday Club Freerolls. Daily tournaments start from just 10 FPPs or even play money, and all you have to do to win a free entry to the Sunday Club Freeroll is cash in any of these tournaments. Sunday is the biggest day of the week for online poker tournaments, and PokerStars Women’s Club has its own exclusive event. Catch this $55 buy-in tournament every week at 14:30 ET and win a chunk of the $10,000 guaranteed prize pool! As an added bonus, a Team PokerStars Pro will be playing every week, each with a $50 bounty on their head. PokerStars offers a wide variety of payment methods to fund and cash out your bankroll. The most popular and common methods are shown in the right sidebar. However, it’s important to note that these methods may vary based on your location. Check the PokerStars website or cashier through the lobby to verify the deposit & withdrawal methods available for you. PokerStars offer a great variety of deposit option, though some of them may not be available in certain regions. Regardless, you will surely find an option suitable for you. To make a deposit, just click “Deposit” in the Cashier menu. If you already made a deposit before, the default deposit method will be the one you have used before, but you can always change it to any other method. Choose the one that you prefer and click “Deposit”. If you have not filled out your personal information, you will be prompted to do so before making the deposit. Once you fill out all the necessary information, your deposit will be processed instantly! PokerStars offers the fastest withdrawals in online poker with most of the same methods that be used to deposit. To make a withdrawal, click on “Cash Out” in the Cashier menu. First, you will have to enter the amount you want to withdraw. Next, you can choose your preferred withdrawal method. Keep in mind, that you can’t use withdrawal methods that use have not used for deposits before, except for a direct bank transfer, wire transfer and check. Some withdrawal methods may take longer than others. For example, a direct bank transfer will take several days, while online e-wallets like Neteller or Skrill will usually process the withdrawal within a few hours or even instantly. The PokerStars Mobile App is available to download on both iOS and Android, and you can even play on a tablet. The App is completely free to download and will work on Apple devices which have iOS 4.31 .x or higher and on Android devices running Android 2.3 and above, with a minimum screen resolution of 800×480. If you already have a PokerStars account, you can use it to login to the mobile application and if you don’t you can create one using the mobile client! Alternatively, you can visit PokerStars.com and download the full software to create your account. 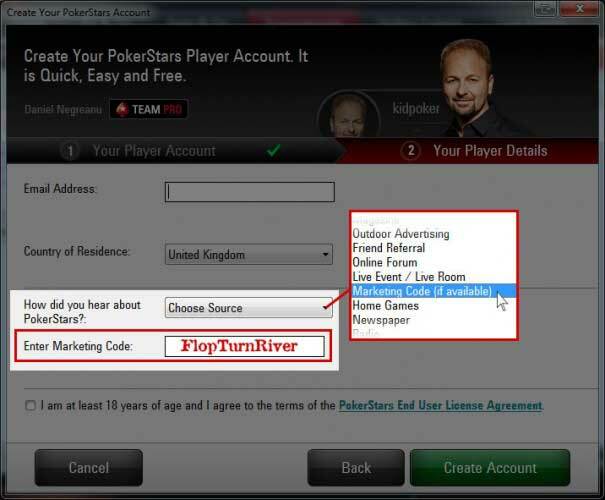 PokerStars provides only e-mail support, with no phone line or live chat available. That may cause some inconvenience for players, but there is a good reason for it. 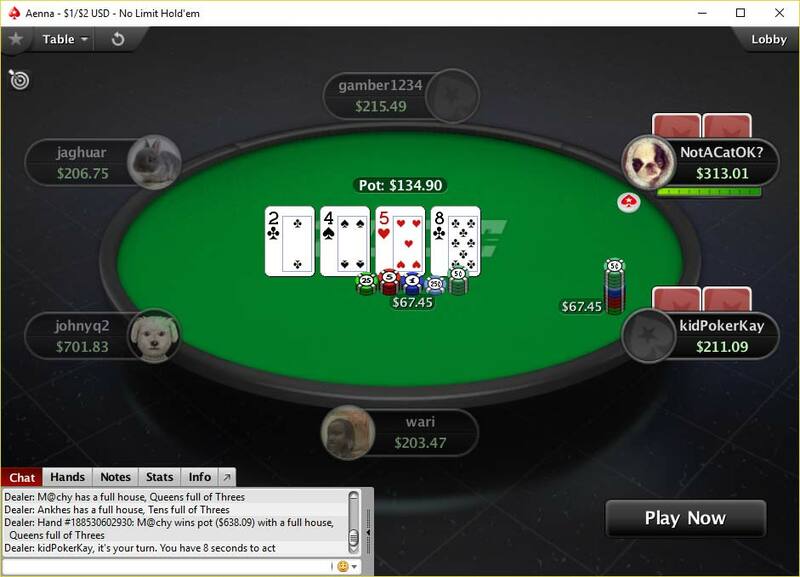 With millions of people registered at PokerStars, phone and live chat support may prove to be ineffective because of the sheer volume of support requests. However, the e-mail support is fast, with response times rarely exceeding 4 hours, and if there will be a need for it, PokerStars will provide you with private phone support. 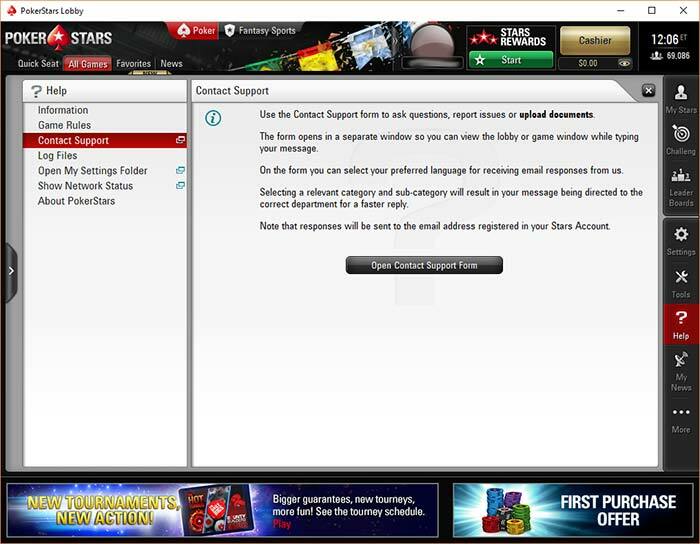 PokerStars Frequently Asked Questions (FAQ) section is usually very handy when dealing with most problems that may arise, but if it can’t help you with your problem, you can contact support directly from the PokerStars client using the Contact Support Form. If you don’t have an account or can’t access your account, you can contact support by email at support@pokerstars.com. Deposit Assistance is available in English, Spanish, French, Italian, Russian, Dutch, and Portuguese. With over 13 years on the market, PokerStars is still going strong. Light years ahead of the competition, there is little chance that the next few years will see any other online poker room come close to the success PokerStars had. PokerStars has done a great job of keeping all the players happy, so it doesn’t matter if you are a professional or a recreational player, PokerStars will be equally great for you in every way possible!